Will it keep consumers from cutting the cord? The big picture: Amazon and Comcast has agreed to bring Prime Video to the Xfinity X1 platform. This gives current Prime Video subscribers the ability to view Amazon content from their X1 natively. It also gives Comcast yet another streaming platform to add to its X1 offerings in addition to Netflix. This could prove to be a valuable way to keep consumers from ditching Comcast in an effort to cut the cord. 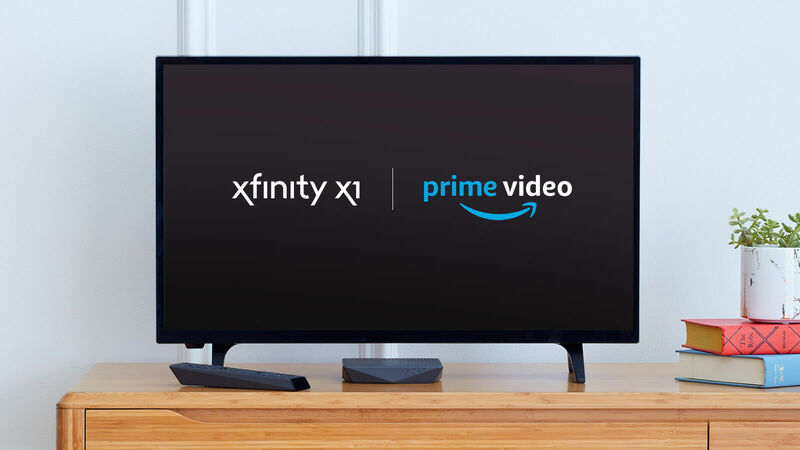 Amazon and Comcast have announced that they're teaming up to bring Amazon Prime Video to the Xfinity X1 set-top box. This gives Prime Video subscribers easier access to Prime Video features and original series like Tom Clancy's Jack Ryan. "Video content would be integrated on an MVPD platform in the US. Xfinity TV customers will be able to enjoy exclusive and award-winning Prime Originals like Tom Clancy’s Jack Ryan, The Marvelous Mrs. Maisel, and Goliath, as well as live events and TV, titles available to rent or buy, or to watch with a Prime Video Channels subscription. Customers can search Prime Video content using Comcast’s award-winning X1 Voice Remote, as well as enjoy shows and movies available in 4K Ultra HD and HDR"
While this is the first time that Amazon Prime Video has been integrated into an MVPD (Multichannel Video Programming Distributor...basically a cable provider), it's not the first time for Xfinity. Back in 2016, Comcast announced a partnership with Netflix to integrate it's streaming service into the Xfinity X1 platform and now includes the ability to add a Netflix subscription to Xfinity cable packages. "We want to give customers easy access to all their favorite content in one place. X1 continues to be a platform that can curate live TV, On Demand movies and shows, and streaming internet video and music titles into one, easy-to-use, seamless experience,” said Dana Strong, Comcast president of consumer services. As cord cutting continues to rise, this could be a way for Comcast to retain current Xfinity customers or even attract new customers. Subscribers could have access to the cable channels they prefer while being able to use Netflix and Amazon Prime Video all from the same box. Comcast would certainly rather you buy an Xfiinity set-top box than go out and purchase a Roku or Apple TV. According to the announcement, the Prime Video integration will be rolled out later this year though no specific date was mentioned.